An invisible tank has been created by the British Ministry of Defense, according to the Daily Mail. I'm skeptical, but unable to resist the story. One problem I have with the story is that there are no pictures (yes, I know - "of course there are no pictures... it's invisible!") but you would think there would be something. A soldier, who was at the trials, said: "This technology is incredible. If I hadn't been present I wouldn't have believed it. I looked across the fields and just saw grass and trees - but in reality I was staring down the barrel of a tank gun." Professor Sir John Pendry, of Imperial College London, said the only drawback was the reliability of the cameras and projectors. 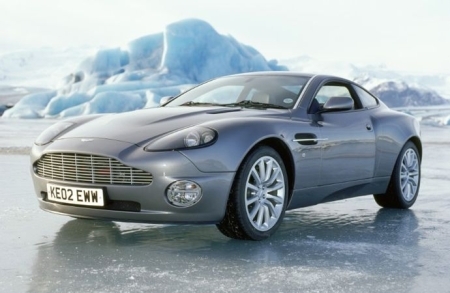 Science fiction fans have long been familiar with cloaking devices (Star Trek - 1966) and invisble cloaks (Ray Cummings - 1931); also, don't forget a popular example of a disappearing vehicle; the Aston Martin Vanquish that disappeared in the icy Die Another Day. Also, those who are fans of Ghost in the Shell will remember the tachikoma spider tanks. These fighting autonomous robot tanks can also become invisible; however, even an invisible tachikoma tank has a shadow.